Did you know? 20 years has passed since the most famous adventure game company, Sierra On-Line, was sold to Havas Interactive. The entire generation of players was born after the era of the greatest glory of this game genre. But players are still interested in these games, which proves the success of the Alice the Witch game series, which is just coming to the PC. And it is not alone, 9 other adventure game titles are published as well now. 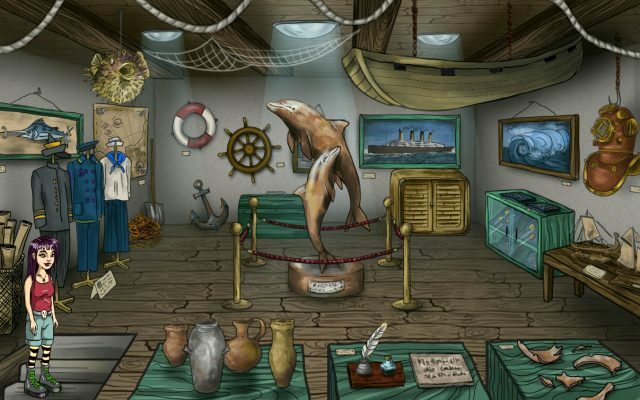 Classic adventure games, games where players collect items and then use them smartly, solve puzzles and watch an interesting story developing in front of them, have experienced the greatest boom in the 80s and 90s of the 20th century. The most famous producers of these games included Sierra On-Line - with the famous King's Quest series, Space Quest or Leisure Suit Larry - and Lucas Arts with titles such as The Secret of Monkey Island and Maniac Mansion. Since the late 1990s, the genre of classic adventure games has been receiving much less attention. 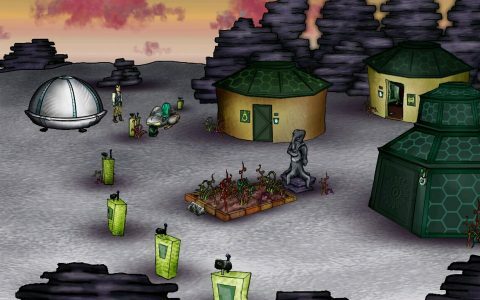 But new adventure games are coming to PC now - and four of them are completely free and free of ads. You can download them from Microsoft Windows Store, the link is at the end of this article. 9 new adventure games in four series are published by GameStylus team and Bispiral company for PC and mobile devices with Windows 10. In addition to the aforementioned Alice and The Reformatory for Witches there are two other parts of the series about the young witch and also the series Space Treasure Hunters, Mutants vs. The Chosen and The Island of 16 Sisters. The first part of each series is free of charge, other games are available for symbolic amounts from 1.10 to $1.60. 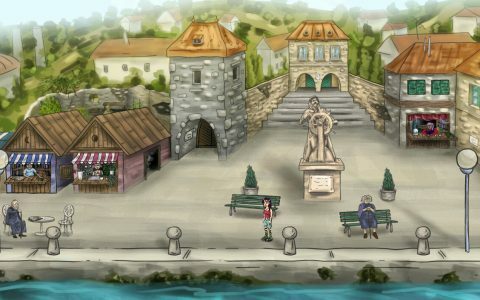 Three of the four series offer hand-drawn graphics from three artists, the Island of 16 Sisters features rendered graphics. All games use GameStylus game engine, which was created by Bispiral company and is available to other adventure game developers, along with an online editor at GameStylus.com. The engine was originally developed for Android, but later it was also ported to iOS and now to Windows 10. The most successful of the games, Alice and The Reformatory for Witches, has been downloaded 1.4 million times on Android devices, and two other parts of the series - Alice and The Magical Dragons and Alice and the Magical Islands is successful as well. In all these games, Alice, a witch from the world of humans, fights a mighty wizard, who doesn't like her - and wants her punished for being able to conjure. The games Mutants versus The Chosen takes also place in the future. Some places on Earth are completely destroyed, many people suffer from poverty, disease and visible genetic mutations. Although mutations are usually minor, they often serve as a pretext for attacks by the Chosen. Their gunmen steal, destroy, and kill. This time, they chose to attack a small village in the shadow of a destroyed city, where Riam lives with his father and sister. The Island of 16 Sisters is full of mysteries. One day, on cool pavement in the middle of a small town, Robert, the hero of the game, wakes up. There might be nothing strange about it, though, if he knew how he got here. Fortunately, he finds out that he is not alone here, because 16 beautiful girls live on the island. Together with them he searches for what's behind this all. All games are multi-lingual - in English, Spanish, German, Russian etc. All games are available in the Windows Store, you can download them here.